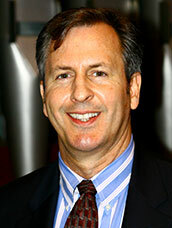 Christ Church welcomes our new rector, the Rev. Lisa M. Zaina. Lisa comes to Christ Church from Holy Innocents’ Episcopal Church in Atlanta, where she served as Vicar. Prior to entering the ministry, Lisa spent 25 years living and working in Washington, D.C., and she considers it her home. Lisa brings a unique blend of strengths to Christ Church from her work in ordained ministry, government service and the private sector, where she served as an attorney and telecommunications policy expert with senior executive experience. In addition to her deep commitment to ministry and pastoral care, she is skilled in budget oversight, program development and personnel management. Cindy has many years experience as an ordained minister in the Baptist tradition. She received her Master of Divinity Degree at Southern Baptist Theological Seminary in Louisville in 1985, and was ordained at Highland Park Baptist church in Waco, Texas in 1987. She worked in Christian Formation for youth and families in Methodist, Presbyterian and Baptist church positions. 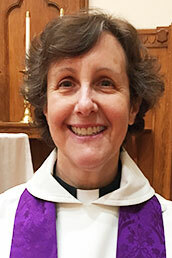 Cindy was Pastor of Chevy Chase Baptist Church and then Broadneck Baptist Church in Annapolis, before becoming Assistant to the Rector at St. Peter's Episcopal Church in Poolesville from 1999 to 2006. She was drawn to the Episcopal Church because of our rich liturgical worship tradition. She attended Virginia Seminary from 2004 to 2005 and was ordained to the priesthood in January 2008. 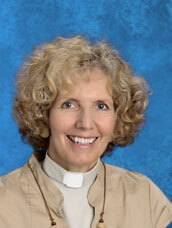 In addition to serving as Associate Rector, Cindy is chaplain of Christ Episcopal School. 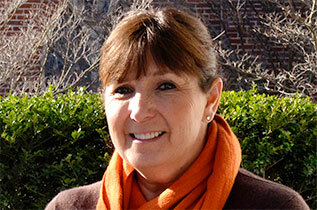 Michele serves part-time as Youth Director and part-time as Director of Children's Education. She is a member of the Diocesan Youth Coalition and Diocesan Children's Education Committee, and Chair of the Parish Youth Council and Christian Education Council. Michele is a former teacher and a Pastoral Visiting Lay Eucharistic Minister. She organizes and oversees all Sunday School, Youth Group, and Family Fun Night activities, and the annual Easter and Christmas pageants. Judith serves as our Parish Administrator and is the person you will probably first speak to when calling the church office. She staffs the office Monday through Friday from 8:00 a.m. – 4:00 p.m. She is assisted by Maggie Schneider who works from 9:00 a.m. – 12:00 noon. Jason serves as our interim organist and director of our adult and children's choirs. Originally from Bismarck, ND, Jason began studying organ at age 12 and continued his study of organ, voice and choral conducting at Westminster Choir College, Princeton, NJ, receiving a bachelor’s degree in organ and voice. He has served in numerous organist/director positions and performed as an organist, singer and conductor, while also working as an IT consultant.